Analog Astronaut - Chasing Space on Earth: What is an Analog Astronaut? Our mission is to build community among analog astronauts worldwide and to provide information on analog astronaut training, analog simulations, and aerospace educational resources so that everyone can participate in space exploration. What is an Analog Astronaut? An analog astronaut is a person who conducts activities in simulated space conditions. Ground-based studies involving analog astronauts are conducted by many laboratories, facilities, and research centers around the world. Analog astronauts engage in a wide range of research such as human physiology, psychology, crew cohesion, exercise, and nutritional studies along with testing cutting-edge science, technology, & engineering applications. 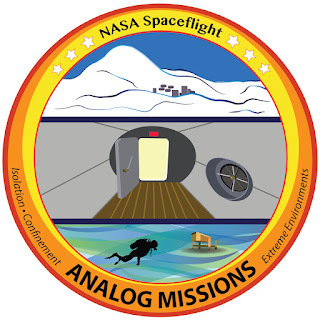 Analog missions are recognized by NASA and are seen as an important part of space exploration. Analog astronauts are typically individuals who engage in astronaut training but aren't astronauts associated with recognized government affiliations such as NASA, ESA, AJAX, etc. It can be argued that the first female analog astronauts existed early in the space race. Dr. William Randolph Lovelace developed and ran a 1960's program called the Mercury 13 or First Lady Astronaut Trainees. Dr. Lovelace developed the physical and psychological tests used to select NASA’s first seven male astronauts. He then ran a privately funded project at his foundation in Albuquerque, New Mexico, to test 25 women pilots on the same tests he administered to the NASA Project Mercury candidates. He wanted to see how women would do as astronauts. Today, women participate around the world as analog astronauts to further the advancement toward space exploration of the Moon, Mars, and asteroids. For more information on these trailblazing women and the role they played as the first female analog astronauts check out the Mercury 13 Documentary and also read this article in The Verge. 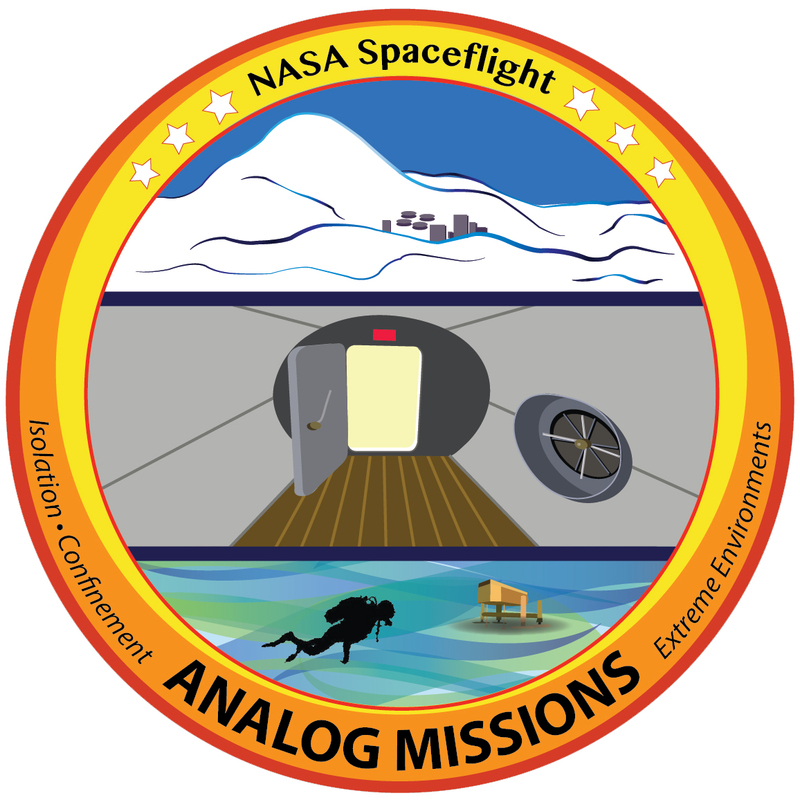 Analog missions are field tests in locations that have physical similarities to either space, the Moon, or Mars. They play a significant role in problem-solving for spaceflight research. Government space agencies such as NASA, higher education institutions, and private industry engage in analog testing in harsh environments before either the people or the hardware are used in space. The types of equipment include a range of things from robotics, vehicles, and habitats to communications, power generation, and space suit mobility. Analog astronauts are often used to understand the behavioral effects of long duration space exploration such as isolation and confinement, crew cohesion, menu fatigue, conflict resolution, and other factors that can be observed. Analogs provide humanity with the much-needed data about the validity of planned human-robotic exploration operations. Earth landscapes ideal for analogs include the polar regions (Arctic & Antarctic), oceans, deserts, and volcanic environments. There are also analog research facilities located in urban environments around the world. Not all experiments can be done in space – there is not enough time, money, equipment, and manpower. Countermeasures can be tested in analogs before trying them in space. Those that do not work in analogs will not be flown in space. Ground-based analog studies are completed more quickly and less expensively.